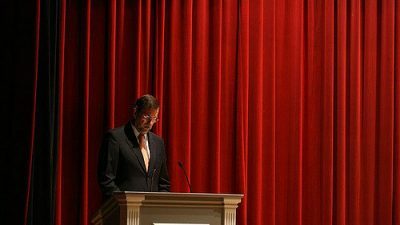 Not content with the public shows of violence that shocked the world, the Spanish government is now using totalitarian powers to jail the Catalan government en masse and suspend parliament, with the same 10,000 paramilitary police standing guard who dragged women out of polling stations by their hair. It is the arcane offence of sedition that two civil society leaders, Jordi Sánchez and Jordi Cuixart, have been imprisoned for. The attorney general has also explicitly accused left wing members of the Catalonian parliament of ‘rebellion’. 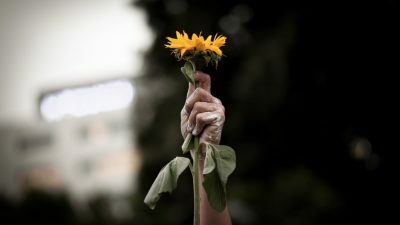 Some activists who resisted the police violence and defended themselves are now being charged with ‘hate crimes’ against the police. The arbitrary imposition of this exceptional ‘legal’ response reflects the despotic nature of the ruling conservative party PP’s determination to maintain obedience to the Spanish state in its province of Catalonia at all costs. It also reflects the nervousness about the prospect that self-determination opens up new space for a genuinely different society. This, after all is a state that is born out of a unique moment of civil disobedience and that means something very significant indeed. 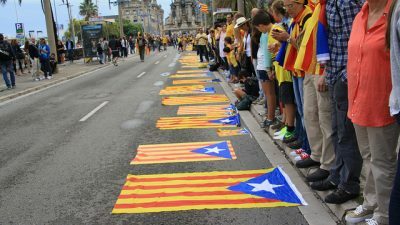 The centrality of this formal and parliamentary political resistance should not obscure the fact that the Catalonian declaration of independence was only made possible by a popular rebellion, by the power on the streets that physically prevented the state from disrupting the vote. The Committees to Defend the Referendum that repelled the Spanish National Police and the Guardia Civil (paramilitary police) were based on a model of participative democracy that pre-dated and will outlive the referendum. Their power and reach across the neighbourhoods of Catalonia should not be underestimated. The struggle for self-determination in Catalonia means something significant and potentially revolutionary because it opens up new possibilities for a different political and economic settlement. First, it means the rejection of the authority of the king: the demand for independence seeks to establish a republic without a monarch. We are often told that, in the context of modern democracies like the UK, Denmark or Spain, the monarchy is merely a docile and harmless relic of a symbolic power. In the context of Spain, rejecting the monarchy means something very specific. It means that means Catalonia is washing its hands of a corrupt royal family that stood at Franco’s right hand. Of course, this is a pressure point: the rejection of the authority of the king is a feature of the struggle that has brought the fascists onto the streets. 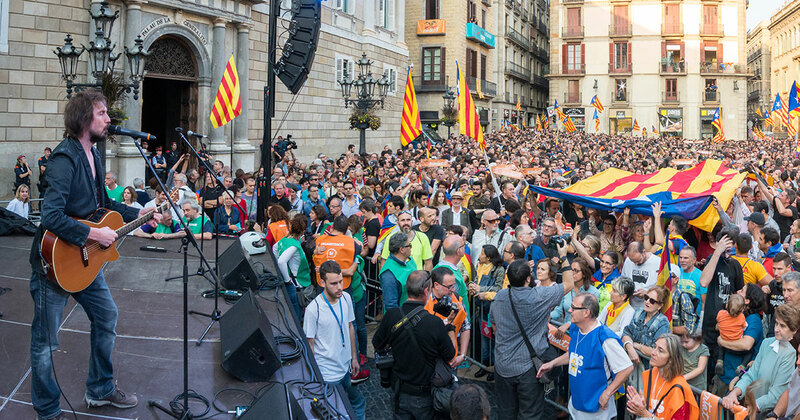 In Valencia, the local fiesta on 9 October was marred with widespread violence by fascists against anyone demonstrating solidarity with Catalonia. In Zaragoza, a march for Spanish unity was led by the leader of the Falange, the heirs of Franco’s one-party state who have barely been seen in public for 40 years. In Barcelona, Spanish unionist marches have been followed by serious attacks against journalists, migrants, and left political activists. Second, it means a new republican constitution, a new set of institutions and a new political settlement. Of course, this could easily mean the status quo. But equally it might not. During the weekend following the declaration of independence an international solidarity delegation met, hosted by the left independence party, the CUP, to demonstrate solidarity against the repression and to discuss exactly what this new republic should look like. This delegation included representatives from left organisations in Scotland, Belgium, Italy, Quebec, Wallmapu, England, Greece and Ireland. The left independence movement is seeking to build a participatory democracy that is not merely an expression of the right or desire to vote, but one that has at its core is a long term project for social transformation.